You understand the power and importance of credentials. 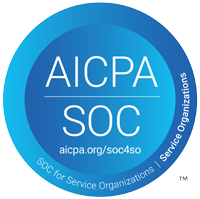 Our firm is led by ISACA Certified IT Professionals and we hold Type 1 SOC 2 accreditation from the AICPA. Why Does a Law Firm Need Expert IT Services? IT support and services allows a law firm to function optimally without effort from its own busy staff. IT professionals can prevent harmful data breaches that expose both a law firm and their clients to severe repercussions, as well as ensure that networks and computer systems remain up-to-date and running smoothly. A "Best Effort" is required to protect your clients PII (Personally Identifiable Information). If you're not engaging IT Professionals, are you really making a "Best Effort"? The 2018 American Bar Association’s Legal Technology Survey Report reported that 23% of responding law firms indicated that they were victims of a security breach, the highest percentage ever reported. Firms of all sizes were represented in that percentage. However, the larger the firm, the higher the percentage. Firms of 100+ attorneys were the most likely target, with 31% reporting data breaches. Due to the strict ethical rules in which attorneys must abide by, as well as the duty to safeguard confidential client information, it is imperative for law firms to have effective IT support in place. The Scarlett Group is knowledgeable, trained and certified to keep your law practice as safe as possible from cyber attacks. Further, our IT professionals understand the significance of downtime to busy law firms. We provide a proactive approach to managed IT services, including constant monitoring and management of IT systems. Our preventative measures help solve a problem before a crash - or limit the amount of downtime in the event that one does occur. How Can IT Support Services Benefit a Law Firm? Outsourcing IT allows your law firm to essentially hire an entire IT team with different specialties and training to solve all your technology problems. This means that regardless of the technology problem that may arise, a dedicated IT member from a reputable IT firm will be able to quickly and efficiently help. The Scarlett Group is available 24/7/365 and can tailor solutions to fit the needs of individual clients. It may seem as though outsourcing to an IT company would be cost-prohibitive for many firms, especially small or medium-sized firms. However, when you consider the time it would take for an employee not trained in IT to research a problem, possibly find a solution, and attempt to fix it, it is clear that the time would be better spent practicing law. Managed IT companies stay on top of the latest technology trends and cyber risks; an IT company can fix the problem in a fraction of the time, without the expense of a full time IT department. Technology is constantly changing and when it is not the main focus of your organization, it becomes difficult to follow and implement the relevant changes. A full-service IT provider has the ability to evaluate and implement new technologies and will assist in all facets of your law firm’s organization. This is especially important when facing constant cyber threats; the law firm quickest to adapt to technology will remain safe and thrive while others struggle to keep up. We understand that the job of a lawyer does not stop when you leave the office. Professional IT support services will keep your network secure and running at all times, on all devices, so you are able to draft briefs from home or talk to clients while on the road. The law requires attorneys to keep client information confidential and therefore safe from breach. Cybersecurity is a complex realm of IT, that when not done properly by a Cybersecurity firm, can leave your data susceptible to breach. The best way to keep your clients’ information secure and confidential is with the help of an outsourced IT company. We understand the risks associated with GLBA and HIPAA. What IT Services Can Benefit a Law Firm? The Scarlett Group employs a team of consulting experts that will help your law firm achieve and remain in compliance with all applicable laws, regulations, and standards. Our managed services company will safeguard and monitor your firm’s network and security system to avoid a data breach that could lead to ethical violations, client exposure, and an unsavory reputation. Learn more about Compliance Consulting. A third-party cybersecurity audit and assessment is the best business practice to ensure that cyber risks are identified and remediated. These assessments should be conducted once every two years to safeguard your law firm and its clients. The Scarlett Group’s professionals will conduct personnel interviews and analyze current infrastructure to provide a thorough review of the current state and recommendations for how to proceed. Learn more about Cybersecurity Assessments. IT should work to help your firm function well, not be a source of constant aggravation. A comprehensive IT assessment will help you understand what is currently working for your business, and what is not working. It can help your law firm streamline business processes, improve performance and cut costs. Learn more about Comprehensive IT Assessments. Migrating your email to Office 365 can be beneficial to your firm in multiple ways, especially with the assistance of a qualified Office 365 partner. This cloud-based service is a pay-as-you-go platform that will help reduce cybersecurity-related costs long term. It upgrades automatically with no effort by your staff and comes with the entire Microsoft Office Suite. Learn more about Office 365 Migrations and Licensing. We understand that as lawyers, you are constantly on the go but cannot sacrifice connectivity to clients, documents and other important information. The Scarlett Group’s MDM services provide complete coverage across all major service providers, allowing you access to, and remote management of, every device within your firm. This assists with compliance goals and allows employees to work remotely when needed. Learn more about Mobile Device Management (MDM). Migrating to the cloud will help your business in many ways: it will increase speed, quality, security, and savings. The IT experts at The Scarlett Group can offer your business the right cloud option for your firm at a low cost. Learn more about Cloud Strategy Consulting and Migration Services. With so many options on the market, it may be difficult for your team to determine which enterprise file sync and share brand to choose. The Scarlett Group’s professionals have the training and industry experience in EFSS and can simplify the process for your law firm. Whether you are interested solely in a consulting relationship or a more involved one, our IT firm can help save you time and money. Learn more about Secure File Sync and Share Solutions. Technical problems have a knack for causing havoc at crunch time; for example, in the middle of the night or at some other highly inconvenient time. Our 24/7 help desk is available every day of the year to provide your law firm with technical support. Learn more about 24/7/365 Help Desk Support. With confidential client information stored on your network and systems, it is crucial that your firm implement and maintain a strong cybersecurity plan and system. The Scarlett Group is led by ISACA Certified IT governance and risk professionals. Our managed cybersecurity will manage your current plan, provide recommendations with a risk/cost analysis, implement an approach and train your staff. Learn more about Managed Cybersecurity. Complete IT is often a great choice for busy legal professionals. With this plan, we remove the stress of anything IT-related from your plate, handling it all. The Scarlett Group provides limitless proactive IT support and we are available 24/7/365 to solve technical problems, both big and small. Learn more about Complete Managed Services. Our IT professionals understand that time is money and downtime can cause substantial harm and loss to a law firm. Disaster recovery, covering both cyber and natural disasters, replicates your current infrastructure onto a secondary backup infrastructure to allow for minimal downtime and seamless business continuity. Learn more about Disaster Recovery and Business Continuity. If you feel as though your business is not operating at its utmost capability, our professionals can discover and recommend solutions that will automate aspects of your business and implement functional improvements that improve day-to-day needs. Learn more about Workflow and Process Mapping. Why hire The Scarlett Group for Your Law Firm’s IT Needs? Technology and cybersecurity is not just our job, it’s our passion. The Scarlett Group aims to streamline IT to meet the needs of our clients while saving them time, money and stress. 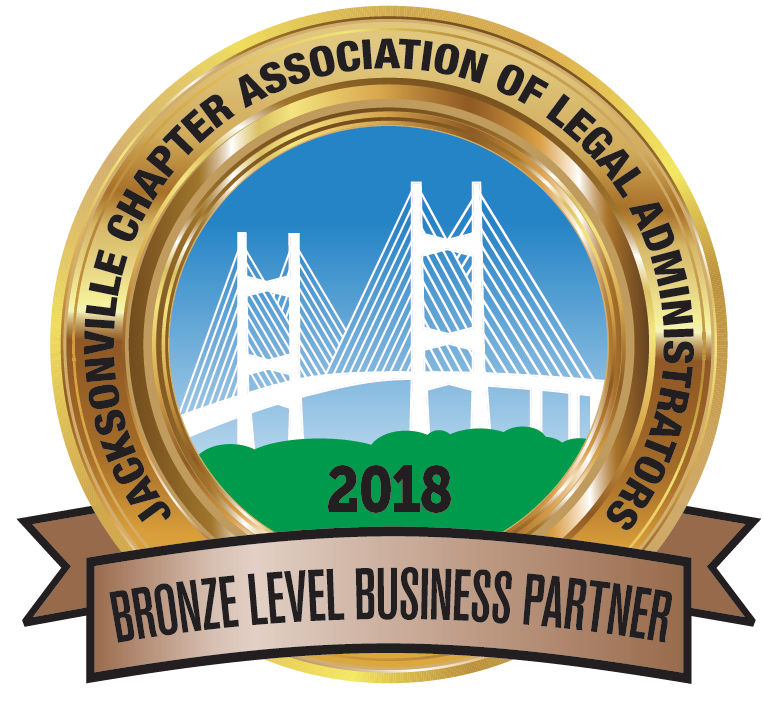 We understand that the legal profession requires additional safeguards to ensure legal and ethical compliance; the professionals that comprise our IT firm are certified IT professionals that hold themselves to the highest of standards. Our supportive and experienced team is dedicated to its clients and their success. We want your firm to thrive without the stress of cyber threats, outages or nightmare IT infrastructure. If you are ready for the innovative and proven IT methods developed by The Scarlett Group, contact us today to get started.